Nestle Water recently held a conference at the Hotel Del Coronado. On the closing night, July 26, 2017, the company organized a party on venue’s Windsor Lawn. 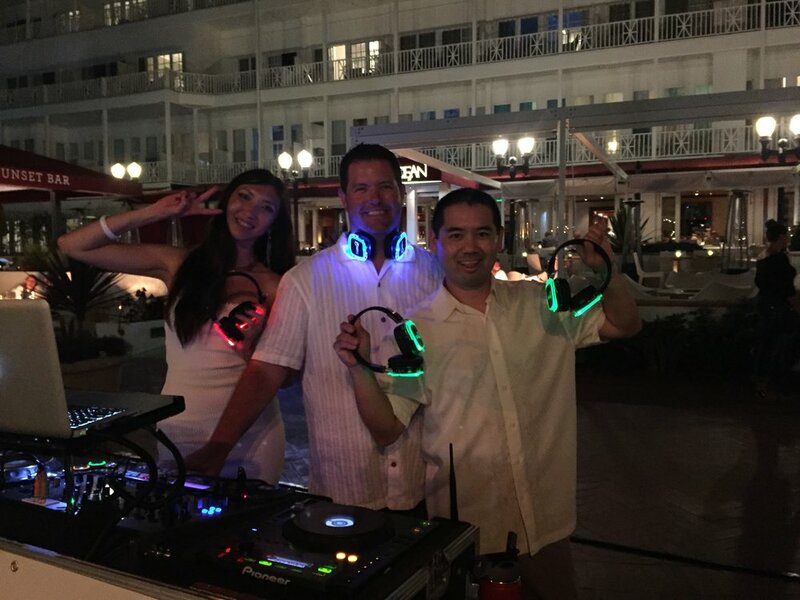 The night started out with house beats from DJ David Cutler and the final two hours I joined him along with DJ Sweeshe for a silent disco. Take a look at my setlist, which included a host of singalongs -- something that always sounds interesting when everyone is wearing headphones. 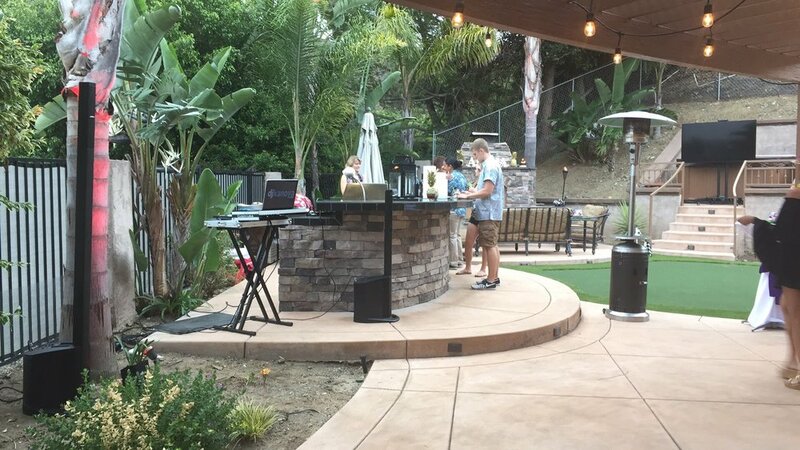 House parties are always made better with a live DJ. For Clarisse’s 50th bash, friends and family gathered at her home to celebrate on June 23, 2017. 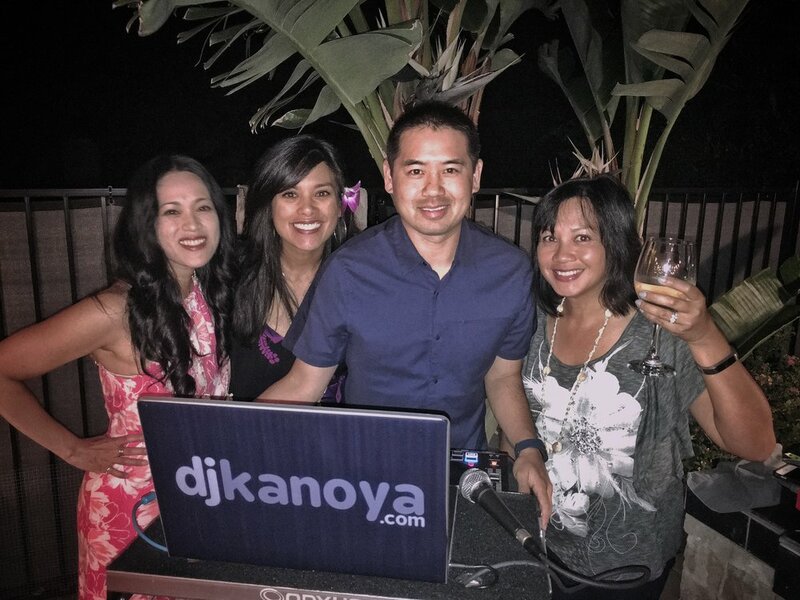 With a Hawaiian themed party, I started with a little reggae, but eventually moved into plenty of old school and 80s classics to celebrate. Erik and Melanie enter their wedding at Luce Loft in downtown San Diego. Erik and Melanie have their first dance as husband wife at their Luce Loft wedding. Erik and Melanie are a couple I met through the my workout group November Project. We’ve spent many early mornings running hills and executing not so perfect burpees. We’ve raced alongside each other and event traveled to Salt Lake City to run the trails of the North Face Endurace Challenge. So things were a bit changed up on their wedding day, October 8, 2016. It’s always fun celebrating with friends and friends of friends. This party took place at Luce Loft in downtown San Diego, a great venue for anyone looking to put on an event with an urban flavor. In addition to DJ and MC service, I provided uplighting and pin spotting (highlighting the cake and a custom piece of artwork). Erik and Melanie partied at Luce Loft in downtown San Diego on their wedding day. Uplighting adds a dramatic element at Luce Loft.